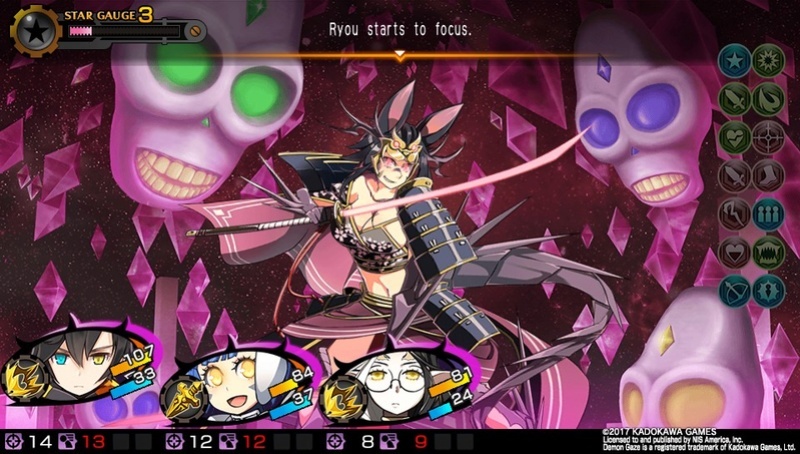 A sequel to Demon Gaze, the story takes place a few years after the events in Demon Gaze. Unable to recall your memories, you woke up in a factory only to realize that you have been given the power of a demon gazer by a mysterious person. Rescued by your friends, who lead the Revolutionist Party, together you start a revolution against Magnastar, the leader of a totalitarianism country named Asteria. The story is pretty much straightforward, yet it is still enjoyable to read through them. Prometh, Cassel and Lezerem makes a return this time, and the chemistry between each and every characters have been extremely entertaining (except Toma the butler. He is boring). Although you begin the game with an amnesiac protagonist, which may feel cliché for some people, it doesn’t really impact the story too much. I personally felt that there’s no point of having your protagonist lost his memory as it doesn’t contribute any significant plot points. What makes it amazing is that despite completing the main story, more story content is explored during post-game to further explain the real mastermind behind all the events happened during the main event. I’m calling it now! Prometh is my waifu! You are not allowed to lay your hands on her! 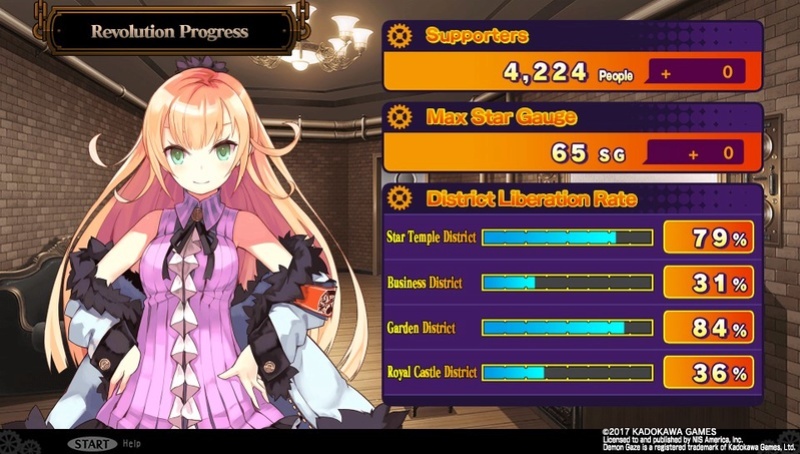 The Revolution Progress will keep track of your current status for each District and also increase your Star Gauge when you defeat a boss. Contrary to its predecessor, this time you are not given the option to create your own party members. Still, you are able to customize the portrait of your main character complete with voice acting. 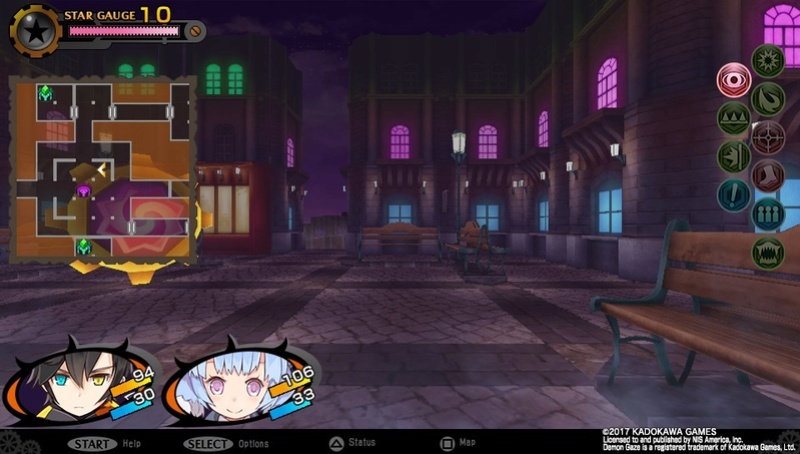 As a result of not able to create your own party members, you will not be required to pay rent for the rooms, which was a feature in the original Demon Gaze game. By purchasing rooms from your leader Muse, you can decorate furniture in the room to boost their stats. 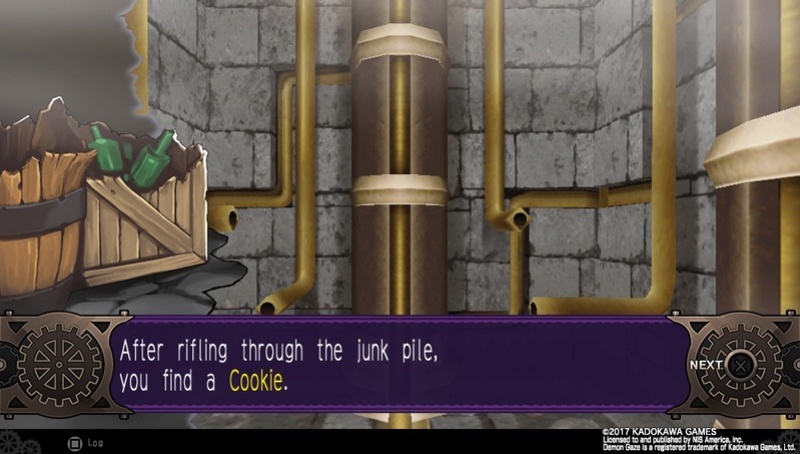 Is this supposed to be a Cookie Monster reference? In each dungeon area, you are tasked with activating all the magic circles with gems. These various types of gems will be your main source of acquiring weapons and armors in the game. There’s a shop that sells equipment, but they are so pricey and underwhelming that you probably won’t even buy a single equipment from the shop. Once you’ve activated all the magic circles, the Demon Cricle will show up, which acts as a mini-sub dungeon. Upon entering the Demon Circle, you will need to solve the puzzle to make the boss of the area to show up. Upon defeating the boss, which is usually a demon, you will unlock the demon as your party member. This is the only way to recruit new party members for your five-man team. You will need to conquer all nearby magic circles before the main Demon Circle shows up. Defeat the boss of the area to make them your allies! The battle system are pretty much your standard turn-based, with a slight twist to it. Since you get to have a maximum of 4 demon party members in your team, you have the option to demonize all of them, which temporarily increases their stats and grants you access to their special skills. While demonize, you will spend your Star Gauge to keep up their transformation. In addition, once demonize, you also have the option to Demon Cross with one of your ally, which fuses your main character together with your chosen ally, granting you a few free turns and free usage of techniques and spells too! This is especially crucial during boss battle or tough random encounters. However, the downside is that once you’ve used Demon Cross, it will expend all of your of your Star Gauge and make your chosen ally unable to act for three turns during the same battle, making them vulnerable to enemy attacks. 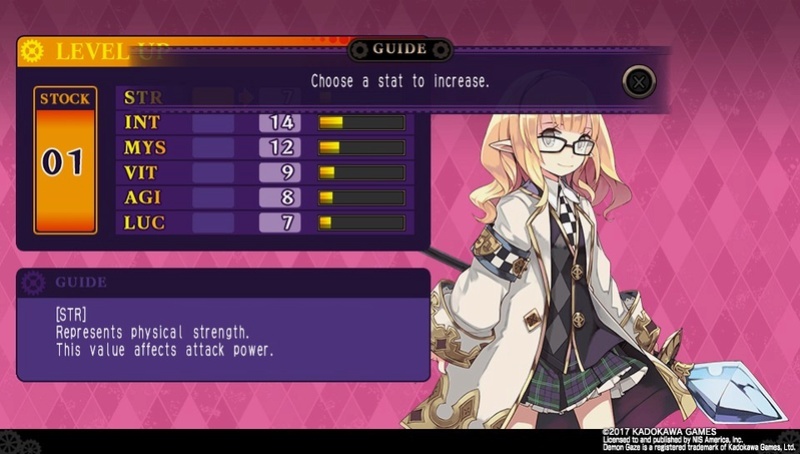 Since your party members are preset characters, the skills that they’ve have are predetermined too. 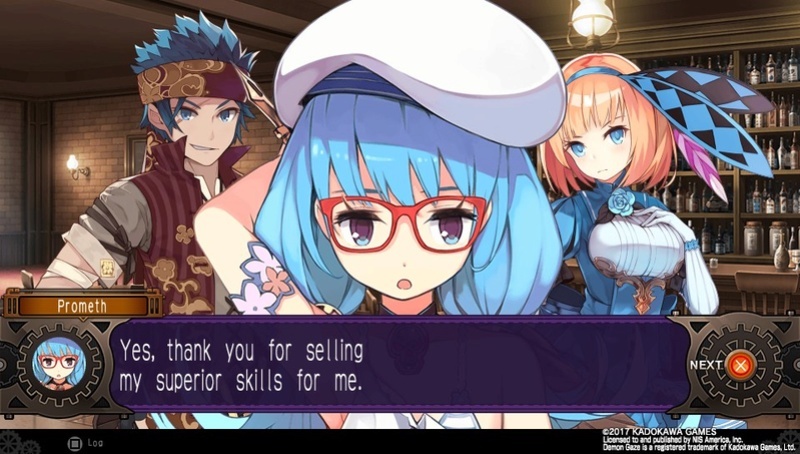 The only things that you can customize are allocating stats, which you only gain one per level, and liberty skills, which you can choose during level 1, 20 and 60. You can give your party members different skills by equipping an equipment called Artifacts, but customization are still pretty limited if you can’t choose what skills to learn for your characters. Granted, the stats itself doesn’t really contribute much to your attack or defense as you gained most of your attack and defense from your equipment. Stats do affect certain skills such as the effectiveness of parrying an attack, but the effect is so minor that you won’t feel much difference. In dungeons, you will received an item called ‘Maintenance Crystal’ which is essential for improving your relationship with your demon in the Maintenance Room. You will have to play the same mini-game a few times by guessing which spot of the demon makes them feel comfortable the most (hint: it’s usually the most perverted areas). 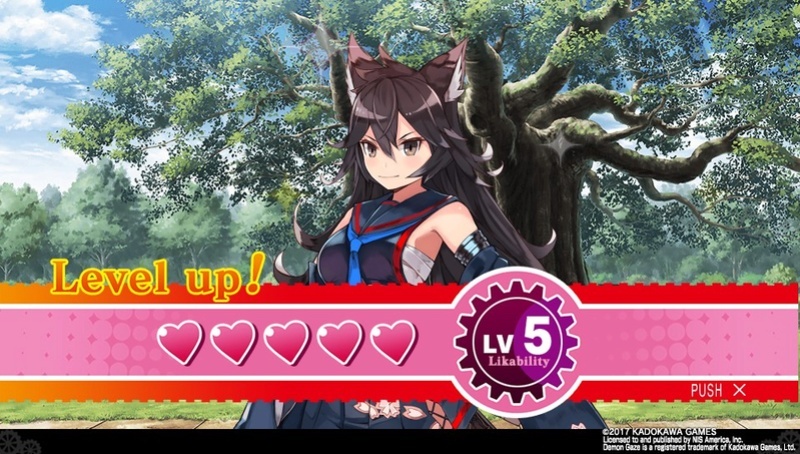 After a few times, you will get to go on a date with them, which levels up your relationship with them and unlock additional demon skills and stats. I personally find this feature annoying and also a waste of time as you have to replay the same terrible mini-game over and over again for more than 30 times just to maximize the relationship with them. Since stats doesn’t really do much here, I’ve pretty much only increase my VIT to further increase their HP. Level up your relationship with your party members by going out on a date with them! The battles this time around are pretty easy, especially since they’ve introduced the new “Salvation” system. For each battle if you faced a game over, you will be given one retry again with all your party member’s HP, MP and Star Gauge fully filled while still keeping the enemies current condition intact. It makes it easier to travel through the dungeon without fearing that you’ve lose your progress if you get a game over. One of the gripes that I have with the game is that earning money is extremely difficult, as the payout received from enemies are very low, so low that you will most likely don’t have enough money to revive your party members. Unlike the first game, acquiring gems in dungeon are extremely rare, so you will need to spend almost all of your money just to purchase gems. It is also not advisable to sell off your old weapons and equipment, since you will need to turn those into ‘Ether’ and use them to upgrade your weapons and equipment. Nevertheless, I have tons of fun with this game that there are times I find it difficult for me to put down the game! 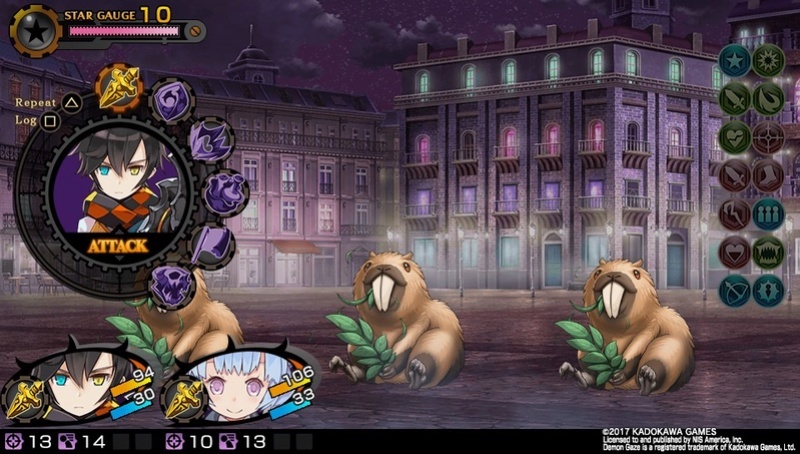 Still, I can’t help but feel that Demon Gaze offers a more enjoyable experience than this game. This could be a better game if they can revamp the Maintenance Room feature and possibly make it easier to earn money. There’s also a fast battle button that allows you to speed up your battle, reducing grinding time. Despite the fact that some songs have been reused from the prequel, most of the new tracks introduced in this game is still highly memorable and amazing. The songs are mostly Jazz style with a hint of Vocaloid, making your adventuring in the dungeons very relaxing and chilling. There are some high tension moments in the game, and the songs are sure to be there to pump you up! The Demon/Boss theme are well-done that you just simply want to decimate them and claim their soul! Absolute amazing. As with NIS America games’ tradition, their games usually came with both English and Japanese voice acting, and I have to give praise to the voice actors for doing a great job here. I thoroughly enjoyed the music in this game, but unfortunately it still have room for improvement to make it as exciting and amazing as the composers Nobuo Uematsu and Shoji Meguro has done for their works. I love the character designs. The female characters are well designed that you can’t help but want to make waifus out of them. Since all the dungeons are located inside a modern city, the dungeon are designed accordingly to the world setting. You will go through places such as underwater area under the lighthouse, a castle, an entertainment district and many more! The graphics are not exactly eye-candy, but the background art is drawn highly detailed. The Demon’s Realm. Here you will have to solve the puzzle before you can get to the boss. PROMETH IS MAI WAIFU! GET LOST!!! *Cough cough* Please excuse me. I’ve accidentally lost sight of myself. With a final score of 8 out of 10, there is no doubt that if you decided to pick up this game, you will definitely have an enjoyable time with it. There are a few drawbacks such as the inability to create your own unique characters, the annoying Maintenance Simulation feature and easier difficulty, but there’ no denying fact that the fun factor overshadows the negatives. Disappointingly, I can’t help but feel that Demon Gaze 2 is rather a step-down from its predecessor, especially since you can actually beat this game in 25 hours casually. Still, after I’ve completed the main story, I still want to keep on playing the game, as it has given me an unforgettable and fun experience throughout the game. Absolutely yes! However I might only replay this game again after I’ve replayed the first game. 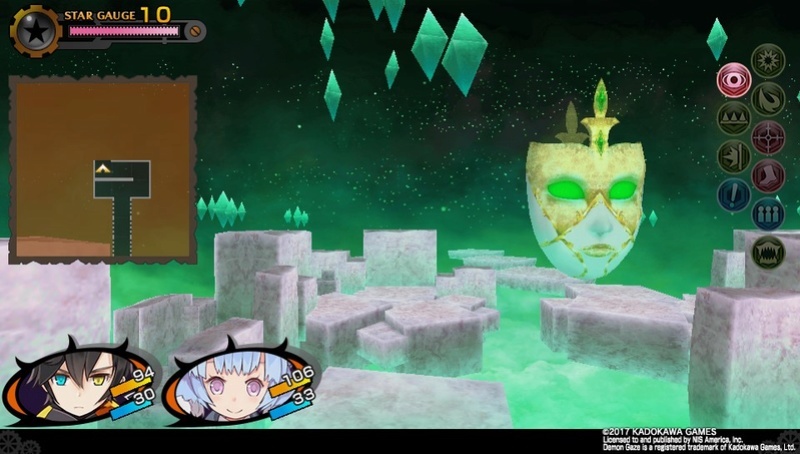 As mentioned earlier, Demon Gaze has a better quality gameplay than Demon Gaze 2, so there’s no doubt in my mind I would replay Demon Gaze again. When I’m up and done with Demon Gaze, I’m pretty sure I would want more out of it and by then I would turn my attention to Demon Gaze 2. Since it’s a short game, I wouldn’t mind replaying it for a second time just for the sake of nostalgia. @ryoutak you forgot to mention that Demon Gaze II is PSTV compatible. Otherwise nice review as always and detailed too! 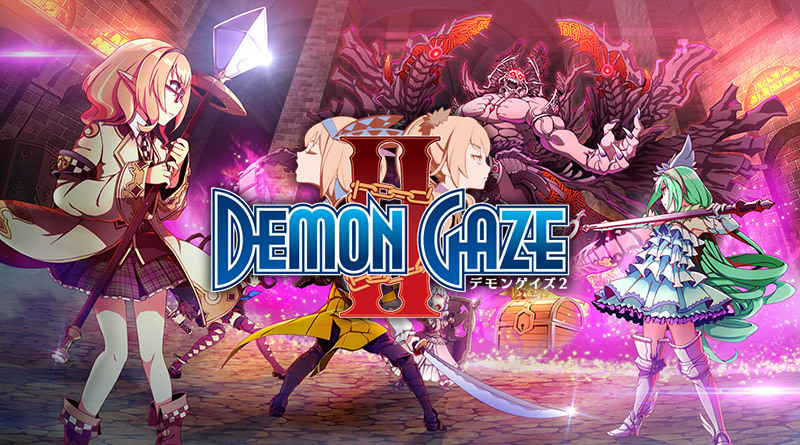 @Kain wrote: @ryoutak you forgot to mention that Demon Gaze II is PSTV compatible. Otherwise nice review as always and detailed too! Thank you very much for your kind comment/suggestion. As I am still quite new to writing game reviews, I have always strive to write them as best as I could within my ability. That's why you can see there's always minor improvements with each new reviews that I've posted. To answer your question, sadly I do not own a PSTV myself, so I was not able to determine the compatibility with PSTV, hence it was not mentioned in my review. I could always search the internet to check it's compatibility, but I would like to stay honest and try to be as informative as possible if there's any differences between playing on the PS Vita and the PSTV. As much as possible, I would rather prefer to personally experience those differences myself so I could do a proper reporting on it. But I will promise you that if I do get myself a PSTV, I will be sure to include it in my future reviews. Again, thank you very much for your suggestion. I would like to thank everyone who has commented on my reviews. Everyone has been nice to left me kind gestures and comments. While kind comments are welcome, I also highly welcome constructive criticism so that I can improve the quality of my review so don't hold back if you want to voice out your real opinions. Wow great review! Thanks for supporting WiiWareWave with a steady stream of fantastic content. @ryoutak What's with the colouration of the review score? Green and blue represent good to great scores, yellow and tan mediocre scores orange and red poor scores, and black is the worst of the worst. I noticed your reviews tend to have random score colours. Back to the topic at hand your review is excellent @ryoutak. Yikeza awesome review bud! This review is so detailed and awesome @ryoutak! @Kitty Cat Meow Meow That's the first time I have ever seen anyone say yikeza.